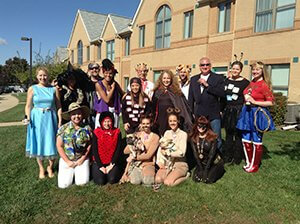 May your Halloween be full of spooky surprises and frightful fun – from all of us at Team TruPlace. Those of you who stopped by the TruPlace booth at VRMA were treated to a strange sight you probably hadn’t seen at a trade show before – a goldfish. We named him Gary. Don’t know if Gary was a he or she, but Gary probably doesn’t know either. We played up the theme everywhere we could, with t-shirts, balloons, and of course, a sign for Gary. We were trying to call attention to the fact that humans have a shorter attention span than the goldfish, which is why a TruPlace interactive floor plan tour is the better choice. It’s faster, so people can tour a home quickly without getting bored or losing interest. Gary played his role very well during the show. But we wanted to make sure he had a good home to go to after the show that didn’t involve anything porcelain – if you get my drift. So, a very nice man, Tom Fjord with dvdnow, who lives in the Orlando area said he would give Gary a good home, and he sent us a photo of Gary’s new digs. I circled Gary since he is rather hard to see in his spacious new surroundings. Our thanks to Tom and Gary! Gary made out pretty well, going from pet store, to bowl, to retiring at a Florida “lake”. We all know by now that buyers and renters start their search online. In most cases, a property has just one thumbnail or image to capture the attention of the potential buyer or renter. Grab the most attention for your listing by making that one image as impactful as possible. – Add curb appeal – a fresh coat of paint on the front door and spruced up landscaping will pay for itself immediately. – Hire a professional photographer – a professionally photographed exterior can frame the property just right to show its most attractive angle. – Spice up your main photo being used on your listing page/distribution channel. TWILIGHT – adding just one virtual twilight image to your listing and using that as your main focus can add drama and grab someone’s attention more quickly! These days, you can’t just take any photograph of your vacation rental properties and expect things to work out. 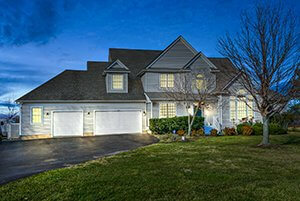 Just about every distribution channel out there has minimum size requirements for property photographs. Why is that? Because as screens have gotten larger and added more pixels, the resolution of photographs need to keep up or your photos will look blurry. I can practically hear your homeowners screaming if their property didn’t look good on their 65-inch TV. 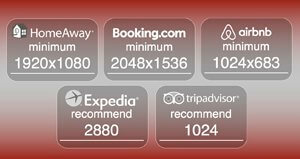 If your photographs don’t meet the minimum standards shown here for HomeAway, Booking.com, Airbnb, Expedia and TripAdvisor, you will be risking your listing since the quality of your photographs play a key role in the quality and ranking of your listing. TruPlace clients can rest easy because all of our photographs exceed these minimums. If yours don’t, we’re here to help. 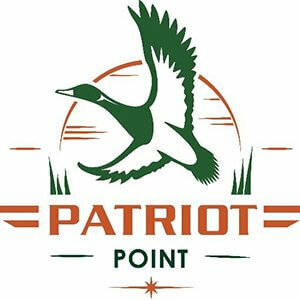 TruPlace is a proud supporter of Patriot Point, which provides a relaxing and safe outdoor environment for our nation’s wounded, ill and injured service members and their families. This is a great organization that offers hunting, fishing, boating and other great outdoor activities at their beautiful property on Taylors Island in Maryland. TruPlace contributed an interactive tour of the property, which you can see HERE. It shows beautiful professional photographs of the grounds, the main lodge and the guest house. As new structures are added, TruPlace will be adding those to the tour as well. Please check out this fine organization and do what you can to support them. 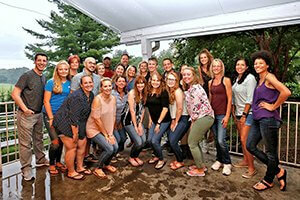 TruPlace has to be one of the best places to work. Our team works so well together. You can honestly tell that they care about our clients and care deeply. We all rely heavily on cross-departmental collaboration to bring value to our clients, and to each other. Going above and beyond is a constant here. It is such a pleasure to come to the office and know that everyone is focused on our client’s success. And when they succeed, we all succeed. 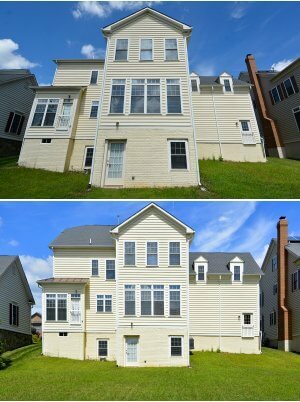 You might think the top real estate property photo is fine, taken up close with the camera tilted up. But it gives a distorted view of the property, especially when you look at the houses on either side. That just doesn’t look right. The photo on the bottom was taken a little further away with the camera level – not pointing up or down. This produces a better perspective of the house and keeps everything vertical – a much better representation of the property. When you don’t provide your prospective guests with a floor plan of your properties, you’re just making it harder for them to find what they’re looking for. Case in point, we recently heard a story of a vacation rental guest who was looking for a house for his whole family and wanted to know which bedrooms had an attached full bath. The guest searched the site and scoured the property descriptions and finally gave up after about 30 minutes. Could he have called to ask? Of course. But instead, most guests will just move on – especially millennials. Independent research by VRM Intel Magazine (click HERE for the details) revealed that VRMs using TruPlace interactive floor plans and photos are enjoyed 17% more reservations, on average. Hmmm…wonder why that is? 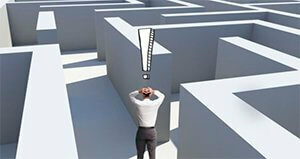 Could it be that TruPlace floor plans and photos eliminate the guesswork? When photographing a room, the height of your camera on the tripod is important. Note the differences in these two photos. 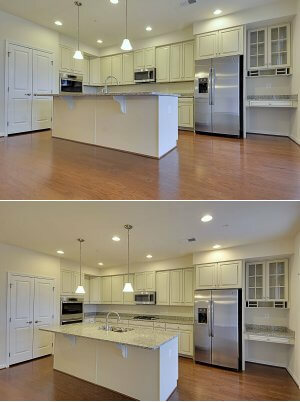 In the first one, you can’t see much of the kitchen because the camera is about level with the counter. In the second photo, the camera has been raised up. You can not only see the counter in the foreground, you can also see the counter and the stove in the background. This is a much more attractive and informative photograph and will be much more appealing to a renter or buyer.